#SomethingNewEveryDay – Literally – Isn't That Marvelous? Yes, literally, literally. I, in fact, write every day about something I learned just that day. 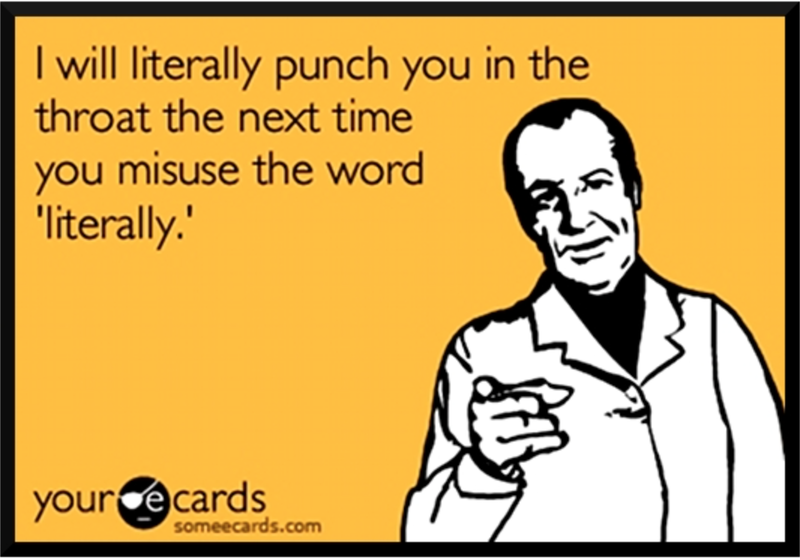 Today, though, I learned that literally now means “figuratively.” Apparently, if enough people misuse a word for enough time it literally changes the meaning of the word. Literally. Are you confused now about when I might punch you in the throat? Will I punch youi n the throat at all? It’s okay. I’m confused, too. Literally. You know – the way The Oatmeal defines it. Pingback: #SomethingNewEveryDay – Getting to First Base | Isn't That Marvelous?